View the Table of Contents and get the first chapter FREE! Covers the final version of Windows 10, which was released on 29th July. 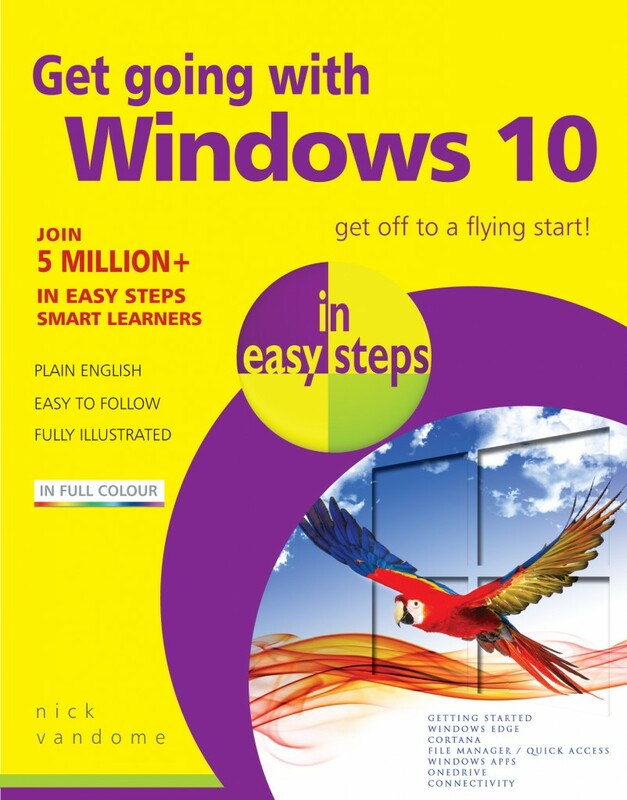 Get Going with Windows 10 in easy steps is a full-colour, pocket-size guide which features all the basics so that you find your way around Windows 10 quickly. How to set up and customize your Windows 10 PC, laptop or touch device to suit you. Navigating around Windows 10 with the return of the familiar Start Menu. 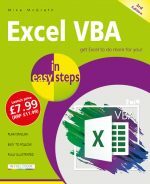 This is accessed from the Start Button and is where you can access areas within your computer, perform certain functions and also open apps from a variety of locations, using a selection of coloured tiles. How to find, download and use apps. The operation of apps has also been standardized so that it is similar for the new Windows apps and the more traditional ones, all opening in their own window, with a traditional toolbar. In a sense, Windows 10 is an example of going back one step in order to go forwards two, and it has succeeded in creating a familiar environment but with improved performance and usability. The new web browser, Windows Edge. Better and faster than Internet Explorer, it has new functions, like allowing users to draw on and annotate web pages and then send them to other people, and the Hub where you can store all of your Favorites, downloads and pages that you have selected to read at a later date. Cortana, the new voice-activated Personal Digital Assistant. Cortana will help you find things on your PC, manage your calendar, find files, and more. An improved File Manager that provides a Quick Access section for all of the items you like to use most frequently. The return of old favourites and the addition of new features help elevate Windows 10 to the most advanced operating system that Microsoft has produced. Get going with Windows 10 in easy steps is a handy, concise guide so that you can get off to a flying start with Windows 10.